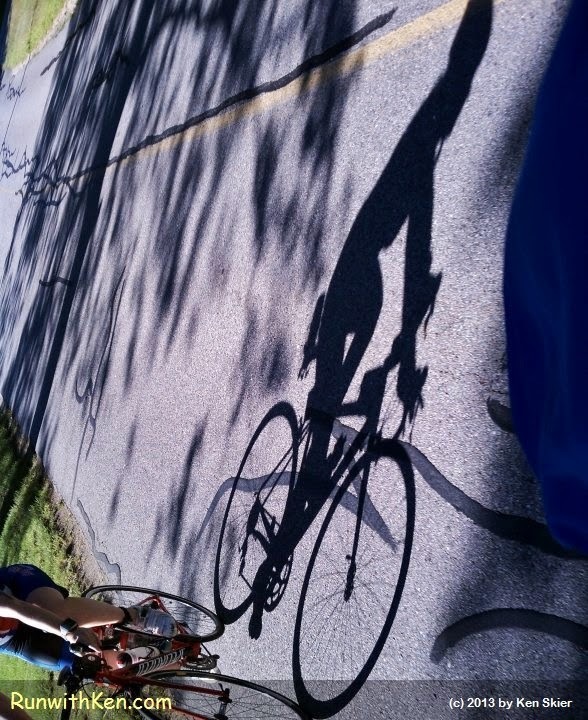 PHANTOM Cyclist in hot pursuit! At the Cranberry Trifest Sprint Triathlon in Lakeville, MA. This photo came as a surprise to me. I was trying to get a photograph of this cyclist as we rode in the Cranberry Trifest Sprint Triathlon in Lakeville, MA. Sadly, I didn't get her head in the photo. But I DID get this striking photo of her SHADOW stalking me on the cool dark asphalt. Eerie.